James was born in 1892 and lived at 5 Victoria Street, Rainhill. His occupation was given as a miner. He enlisted in March 1915, aged 23 and although living in Rainhill at the time of enlistment may originally have come from Ireland as his next of kin was given as his father, also named Patrick, of Ballaghadereen, Roscommon, Ireland. He served in France until his discharge in January 1919 during which time he was constantly “in trouble” for insubordination, stealing and fighting which resulted in loss of pay and a spell in the Army jail. He was wounded in action and suffered twice from a sprained ankle, spending some time in 8 Red Cross Hospital. The houses in Victoria Stree, Rainhill, where James spent his early years were knocked down in the 1970's. 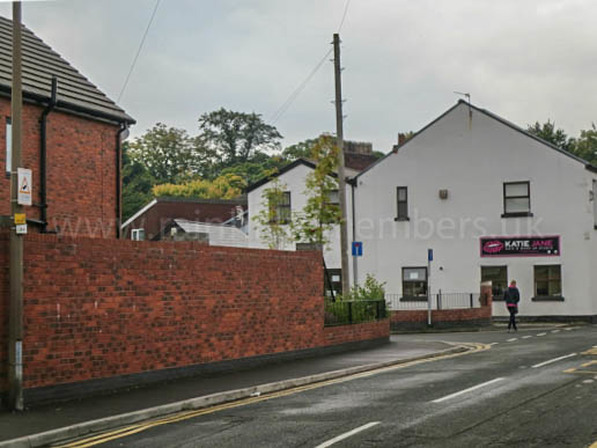 The above photograph, taken in 2015 show that there are now new houses built off the street and a driveway into a business car park.